Avon Outlet Book – Shop Online Now! Click here to shop the current books online now! This Avon Outlet Book is one of my favorites and will probably become one of yours as well! Even though supplies are limited, the deals are fantastic and you can often get an item you missed in the regular book and at a great price. With everything from skin care to seasonal items this provides you a chance to get great items at really good prices. However, since they are limited quantities you may want to order as soon as possible. 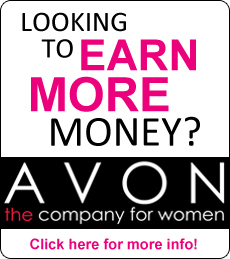 Everyone loves a good sale and Avon does it right! There is a new sale book every campaign and you can back order two campaigns in case you missed the deadline to order. When you find an item you want at www.youravon.com/mickibaker, simply write down the six digit product number, click on quick item entry and put in the product number. The other fields will automatically fill. To the Left you can click on the campaign you want to order from.